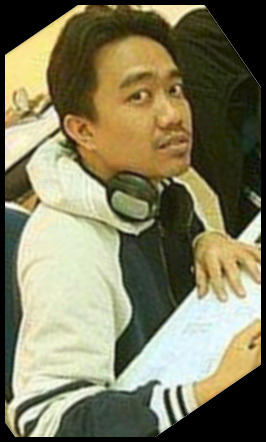 Eisu, real name Saiful Remy Mokhtar, but the Saiful is silent (ha ha, just kidding), so people either call him Eisu or Remy. He is 100% Ma-Male (Ha ha, Spongebob joke). The name Eisu is a phonetical sounding of the Japanese pronunciation of Ace, which he got when he was big into manga and anime. He's not that big into it now though he still reads some and watches some. The name was also begotten when he was trying to figure out what nickname to get when he was signing up for Geocities back in 1996 and he just looked around and saw the manga Slam Dunk, so he decided, to use Eisu. He was born in the year 1979 and was bred in the country near the equator. A country called... Malaysia. He is currently doing freelancing comic works, whether it be comics itself or colouring other people's comics. Right now, he's still trying his darndest to break into the mainstream comic scene. Rumble Fall is copyright and trademarked Saiful Remy Mokhtar. All rights reserved.